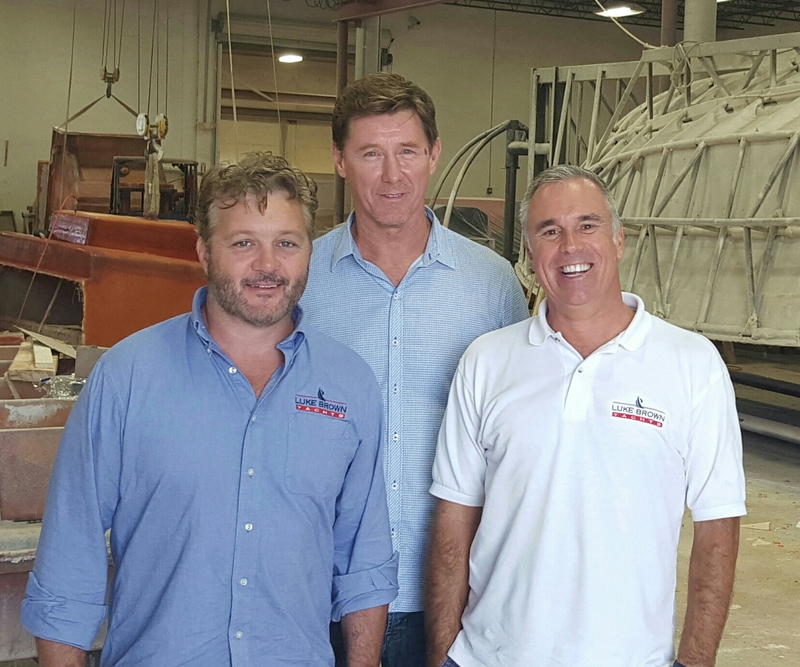 FORT LAUDERDALE, FL - Luke Brown Yachts Vice President Jason Dunbar, Yacht Broker Bruce Johnson, and Yacht Captain Merv Monger recently visited the Concept Boats factory in Opa Locka, Florida. The purpose of the visit was to find a custom made, price competitive fast boat for a Luke Brown Yachts client. Concept builds offshore cuddy cabin and center console boats designed for fishing, diving, and pleasure boating. "What we found today at Concept was a well built, highly customizable fast center console at a very competitive price. These boats make a great chase boat for a super yacht," said Yacht Broker Bruce Johnson who specializes in large center consoles. He went on to say "Concept's manufacturing process, molds, and finish work meet the highest standards in this sector of the marine industry". 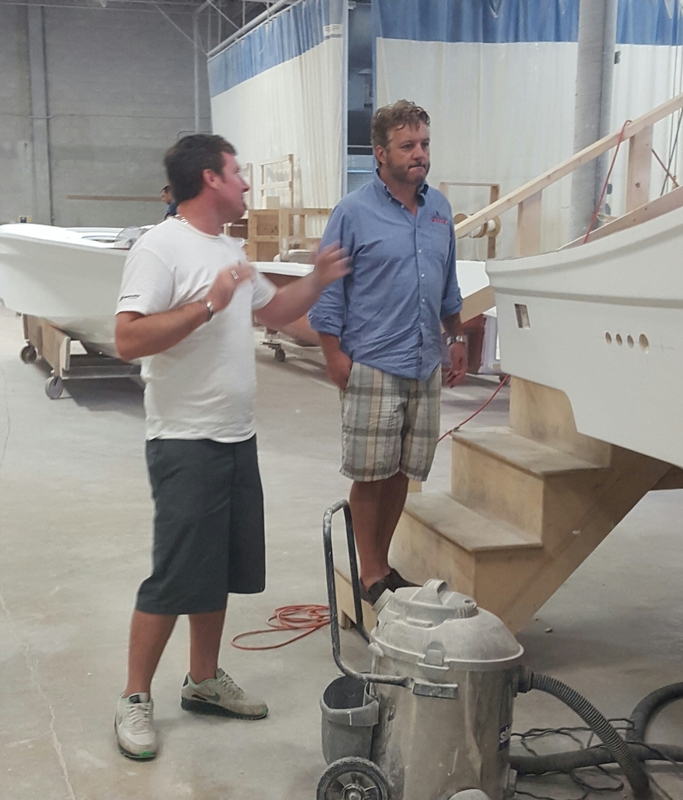 Vice President Jason Dunbar said, "During the tour, I watched craftsman carefully customize the interior and hardtop of a thirty-nine foot center console being built for the Fort Lauderdale International Boat Show in November. They are in the unique position to do custom work for the upscale center console market and the most discriminating buyer". 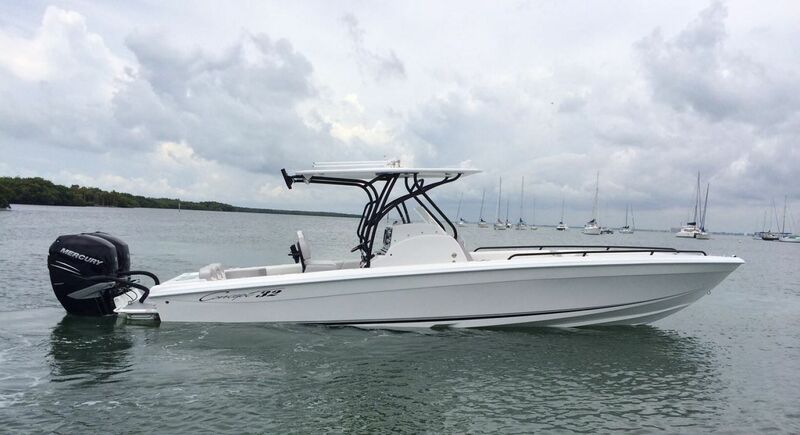 Concept Boats manufacturers a variety of models that include a twenty foot flats boat, a variety of center consoles from twentythree to forty-four feet, including a sport fish model with lower gunnels, and stylish forty-four foot sport coupe series. For more information on Concept Boats contact Luke Brown Yachts.